Plumerias (also called Frangipani) are tropical, flowering trees highly valued for their fragrant blossoms, which are often used in bridal bouquets or leis. In the wild, the trees can grow up to 30 feet tall, according to information published by the National Gardening Association. In the garden, these trees are kept short by pruning or by choosing smaller varieties. 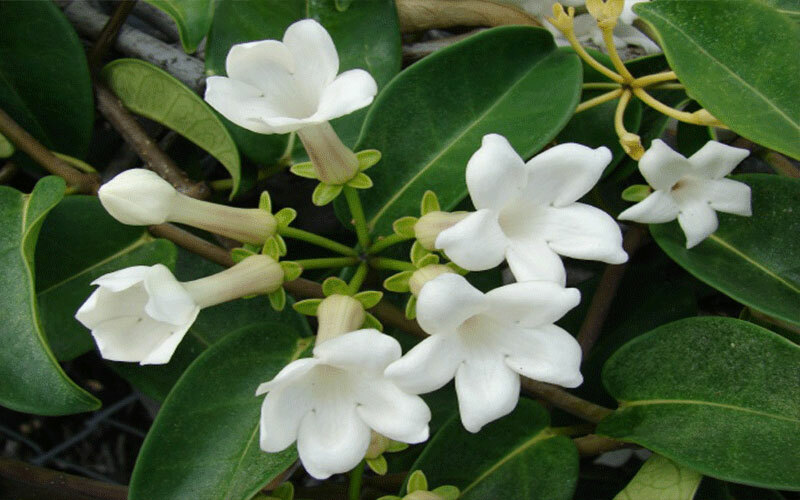 Plumerias are hardy, beautiful plants that require only basic culture. Leaves are large, fiddle or spoon-shaped, almost sessile without a stalk and hold on the trunk for a full plant. The large flowers sometimes appear before the leaves, summer through autumn and are held in branched clusters at the stem tips. Individual flowers are funnel shaped ending in large, petal-like lobes which overlap to the left. The tubular part of the flower is long and attached to a thick flower stalk. Bridal bouquet flowers are waxy and unlike other frangipani are not typically fragrant. Grow bridal bouquet in frost-free locations outdoors or in containers or greenhouses in colder locations. 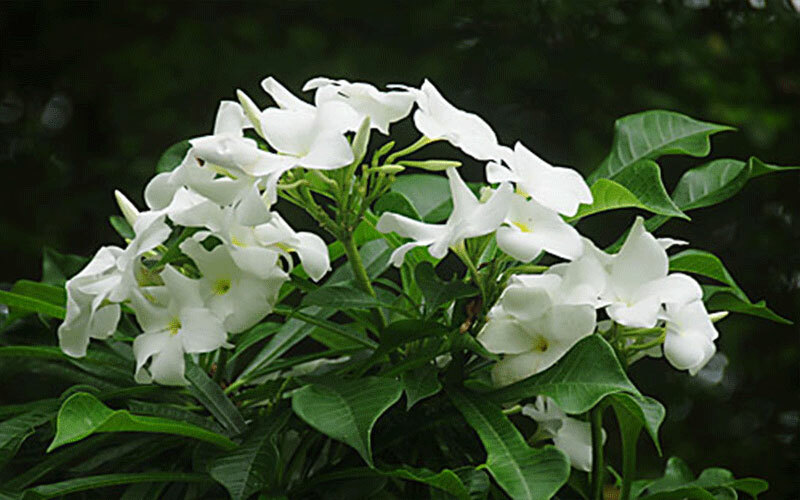 It grows best in well-drained, rich soil and regular watering except when dormant, usually in the winter. Full sun or high, shifting shade is best for growth and flowering. Give it several hours of very bright light a day for flowering. Use bridal bouquet as an accent tree, a patio container tree and the blooms to make famous Polynesian leis. Step 1: Plant your plumeria where it will receive either full sunlight or a small amount of light afternoon shade, such as dappled shade. Step 2: Amend the soil with organic mulch, if needed. Choose a location in the garden that is well-draining. 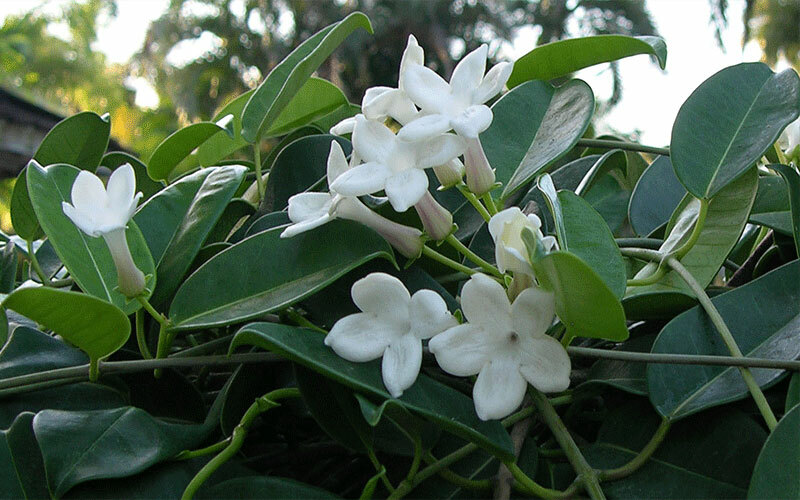 Plumerias need well-draining soil in order to survive. Step 3: Water enough so that the plant receives about one inch of water per week. These trees need a lot of water, according to information published by the National Gardening Association, and container plants may need even more water than plumerias planted in the ground. Still, do not over-water, or root rot will develop. 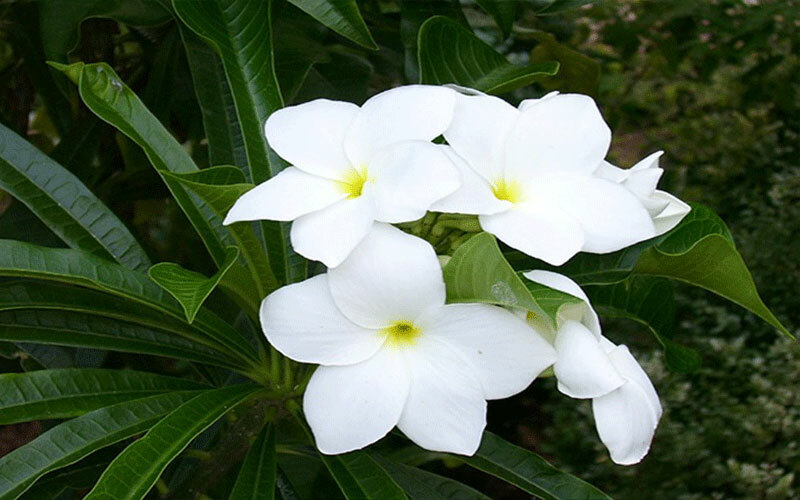 Step 4: Fertilize your plumeria every other week with a fertilizer high in phosphorous (10-20-30) during the growing season (spring through summer). Apply the fertilizer according to the directions on the label for the size of your tree. Step 5: Monitor the tree for common insect pests such as mites and scale. Treat with an insecticidal spray if necessary.